China’s homegrown smartphone brand Xiaomi is increasingly looking like Apple. 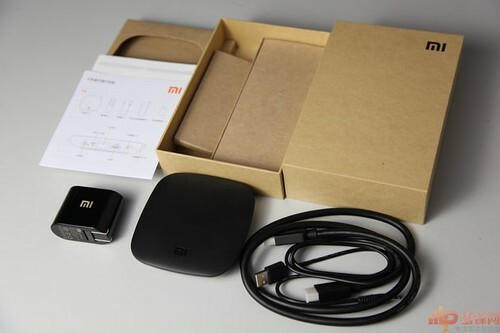 After the launch of Xiaomi Mi-Two, the company has announced the release of its latest product — Xiaomi Box. It’s a set top box that looks very alike to Apple TV, but offers at a very tempting price. Although China has a flood of cheap Android TV dongles and set-top boxes , Xiaomi Box is still arguably competitive. 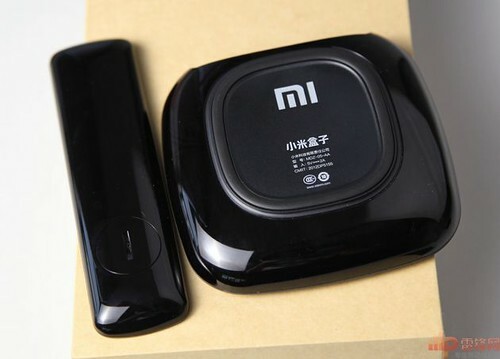 The Xiaomi Box is an Android-based set top box with nice polycarbonate shell. 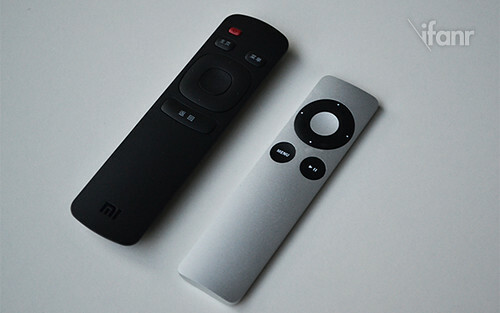 It has a diameter of 105mm and a thickness of 21mm, which is flatter and more rounded than Apple’s TV. 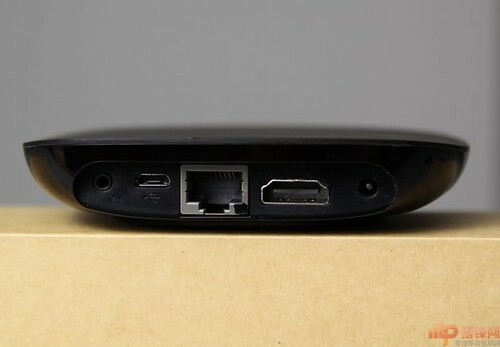 Specs wise, it comes with a Cortex-A9 800MHz processor, 1GB of RAM, HDMI Out, RJ-45 socket (10/100 Ethernet jack), 802.11b/g/n WiFi, Micro-USB port (support On The Go) and Power Socket. Audio out, Micro-USB, RJ-45 port, HDMI out, Power socket Options for 720p or 1080pIn terms of video performance, it supports 720p or 1080p video output and compatible with video codecs including H.264, VC-1, WMV-HD, MPEG 1/2/4 (up to 1080p at 30 fps) and Real7/8/9 (up to 720p at 30 fps). 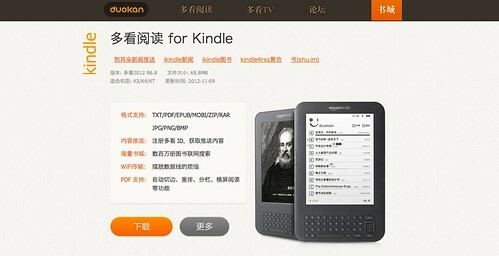 Duokan’s official WebsiteFew days ago, Xiaomi announced its full acquisition of app-maker Duokan. Duokan is best known for building an alternate firmware for Amazon’s Kindle. 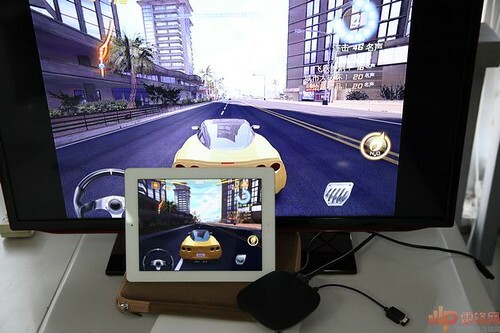 It also develops reading applications for Android, iOS and Windows Phone, as well as a multimedia app for the Apple TV. Xiaomi founder Lei Jun is one of the investors in Duokan, where Duokan founder Wang Chuan is also one of the co-founder of Xiaomi. 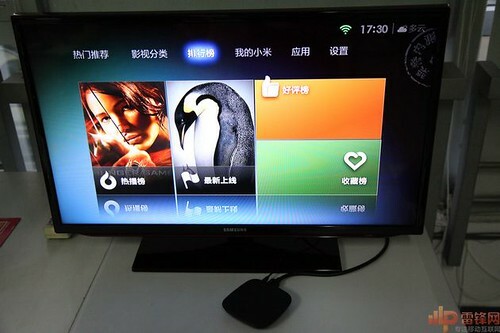 Xiaomi has obtained permission from Sohu, PPTV, Tencent, Sina, Funshion, Netease, and iFeng to stream their online video contents on its set top box for free, offering a collection of more than 100,000 licensed movies, dramas, entertainment, animation, and documentaries. 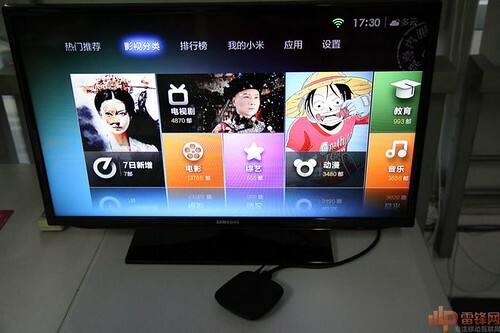 Xiaomi’s weekly software updates will include its set top box as well, and contents will be refreshed on a daily basis. Category’s Page Chart My Xiaomi — Stored favorites. Search function, it only has English input right nowAs expected, Xiaomi Box does not have Google’s Play Store, but it will preload with games and apps such Douban Music, Plants vs Zombies, Bejeweled, and so on. It’s sad that Xiaomi Box does not have Sina Weibo and other social network integrated. The company promises an open API interface for developers to build apps for the set-top box. This looks like Xiaomi is utilizing Google’s Android platform to build an ecosystem for its MIUI. With the release of the Xiaomi Box, the company is not only focusing on its MIUI and Xiaomi phone. It has an ambition to profit from e-commerce and content. 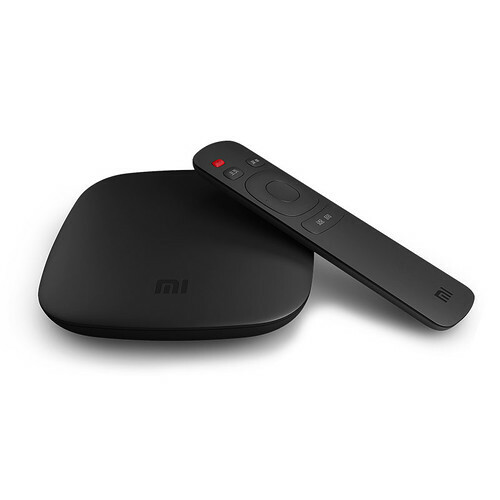 Xiaomi Box will bundle with a remote controller and the company will offer an iOS or Android app to serve as a remote for the set top box as well. 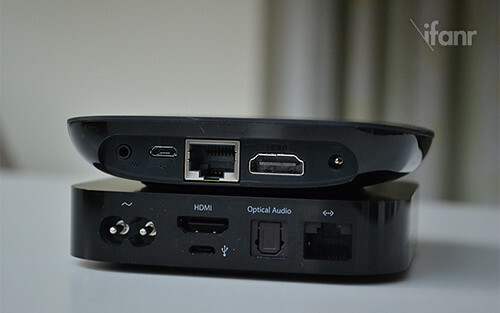 The set top box will connect to your TV via HDMI. 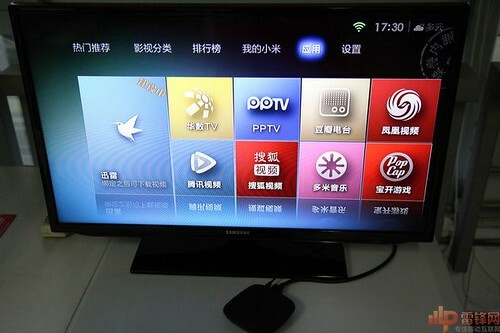 The set top box features a technology called “Milian (米联)”, which allows users to wirelessly stream videos, images, and music content to the television, or mirror exactly what’s on your display to the big screen. 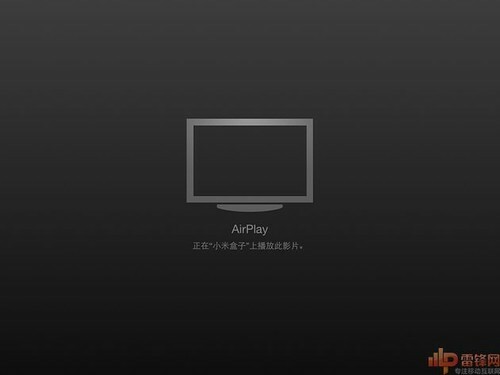 It’s compatible with DLNA, Miracast and Apple’s AirPlay, which means you can wirelessly stream content from Apple’s iPhone and iPad, personal computer and Android phones with MIUI installed. 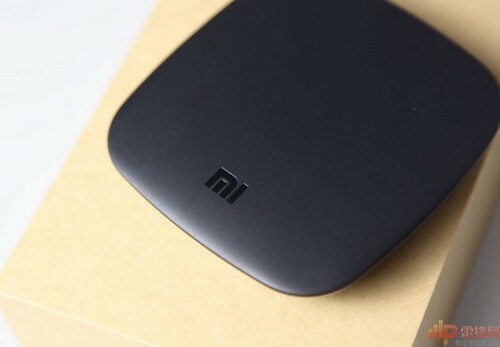 You may question will the first generation Xiaomi phone compatible with the set top box? Yup, it will do if your Xiaomi phone runs MIUI v2.9.29 or above. “Xiaomi Box” will officially go on sale in December and retail at 399 yuan (US$64). Beforehand, Xiaomi is offering 600 test units for sale at a discounted price of 299 yuan (US$48), starting this Friday. 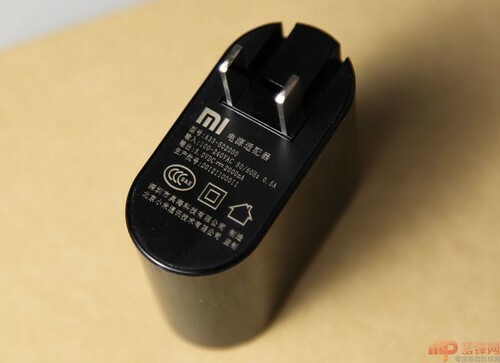 The test units are only available for Xiaomi phone’s users. China has strict rules on Internet TV and tight control over the content. 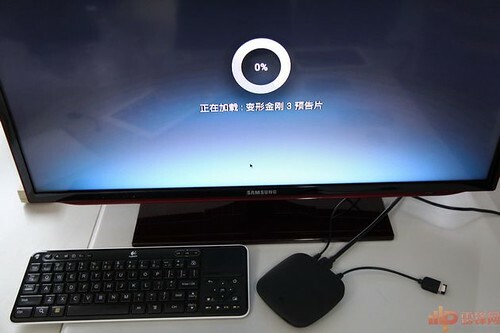 The contents that Xiaomi Box provided would have no difference from TV and the internet, which are also censored by the government. Despite, it’s nice that Xiaomi can offer daily update on contents, so it can wrap up all the most up to date online videos at one place. 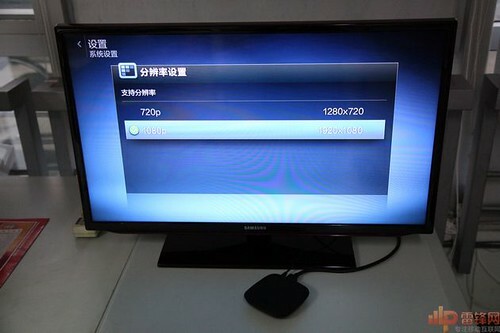 But noted, the internet speed is quite slow in China, so watching streaming videos on your TV might not be ideal. 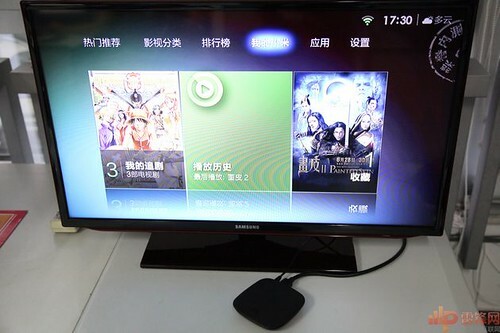 Outside China, there’s Apple TV. It would be Xiaomi’s most challenging rival. Xiaomi Box is cheaper than Apple TV, and it requires no extra payment for video contents. But the down side is: Xiaomi Box does not have an English interface, video contents might be blocked when using it outside China, and you can’t buy it! Seems like the release of Xiaomi Box is just a stepping stone for Xiaomi to build up its ecosystem.